A solicitor failed in an attempt to sue a political blogger for defamation and malicious falsehood when a judge decided that the words of which he complained could not be held to refer to him. Mr Tilbrook said he was chairman and a founder member of the English Democrats, which was campaigning for an English Parliament and Government like that in Scotland within a federal UK, and which was was expressly open to all people of any background or ethnicity who shared its aims. Mr Parr applied for the case to be struck out, or for summary judgment. Mr Justice Tugendhat said: “The main issue before the court in this application is whether the words complained of are capable of being understood as referring to the claimant. “The claimant is not named. Nor do the Particulars of Claim set out any facts relied on which might be known to any particular publishees, and no publishees are identified. He had concluded, he said, that the words complained of were not capable of referring to Mr Tilbrook. The judge said Jonathan Scherbel-Ball, for Mr Parr, had argued that it was settled that words could not be defamatory of a claimant unless they were capable of being understood by a reasonable reader as referring to that person. The House of Lords said the test, when a claimant was not named, was whether the words “would reasonably lead persons acquainted with the plaintiff to believe that he was the person referred to”. This test, said Mr Justice Tugendhat, was “essentially the same as the test to be applied where the question is whether the words complained of have a particular meaning”, which was most recently formulated by Sir Anthony Clarke MR in Jeynes v News Magazines ( EWCA Civ 130). “The policy of the common law has long been to give effect to the right of freedom of expression,” Mr Justice Tugendhat went on. In Derbyshire CC v. Times Newspapers Ltd ( AC 534) the House of Lords had held that it was “of the highest possible importance that a democratically elected governmental body, or indeed any governmental body, should be open to uninhibited public criticism” and that the threat of a libel action would inevitably have an inhibiting effect on freedom of speech. In Goldsmith v Bhoyrul ( QB 459) Mr Justice Buckley had said the principle had to apply equally to a democratically electable political party. Mr Justice Tugendhat went on: “In my judgment this case is indistinguishable from Knupffer. On one view it may be a stronger case than Knupffer. “In Knupffer no individual was referred to by name. But in the present case the words complained of do identify two individuals, both connected to the BNP, who are said to have joined the English Democrats. “The reader might be thought more likely to understand that it is these individuals who are the targets of the allegation of racism, rather than the claimant. Mr Tilbrook himself had also pointed out that if he was entitled to sue, then all the English Democrats’ other publicly identified officers and members would also be entitled to sue, said the judge. Mr Tilbrook had indicated that he might wish to rely on other publications, the judge said, adding that if, after reading the judgment, he wished to apply for permission to amend his claim, he should submit a draft. But there might be further issues. “In an internet publication there is no presumption of publication as there is with the print copy of a newspaper (Amoudi v Brisard ( 1 WLR 113,  EWHC 1062 (QB) at para 37), and no presumption that a reader who has read one article on a blog will have read all the other articles,” the judge said. Mark Higginson has created a thought provoking example English Constitution which you can either read here or peruse by sections at the links below. I will leave it to him to explain. I have written this English Constitution very much as a literary project. I started it around summertime 2008, and originally called it the Magna Carta 2009. I quickly realized that it was rubbish, scrapped it and restarted it as a constitution. Why? Five years after New Labour came to power I realized that England was at a disadvantage, and as the years rolled on it got worse. Also there was a discussion about the British Constitution and how it was un-codified (not written), so I thought, “how difficult can it be to write one?” This English Constitution was the result. It is not impossible that when this project is better worded and is a more rounded, finished document, that it could be of us to the people of England in the future. 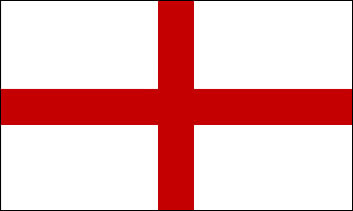 If in the future, England and the English people are at their darkest hour and look for direction. I hope that this humble attempt at providing it can aid them in that endeavor. © English Warrior and englishwarrior.wordpress.com 2010 onwards. Unauthorised use and/or duplication of this material without express and written permission from this website's author and/or owner is strictly prohibited. Excerpts and links may be used, provided that full and clear credit is given to English Warrior and englishwarrior.wordpress.com with appropriate and specific direction to the original content. Anything that is posted by The English Warrior or in conjunction with englishwarrior.wordpress.com, is based on an opinion so will be classed as an opinion within the realm's of English and Welsh Law. If The Warrior offends anyone, I apologise in advance and urge you to take your sensibilities elsewhere, as I could not care less as these are my thoughts alone and made up from daily news,reading other peoples comments and postings around the internet. And to note: Postings are based on hearsay and any facts derived from evidence that is shown around the internet so should be classed as third party comments and not as the truth. Please follow links and make up your own mind.